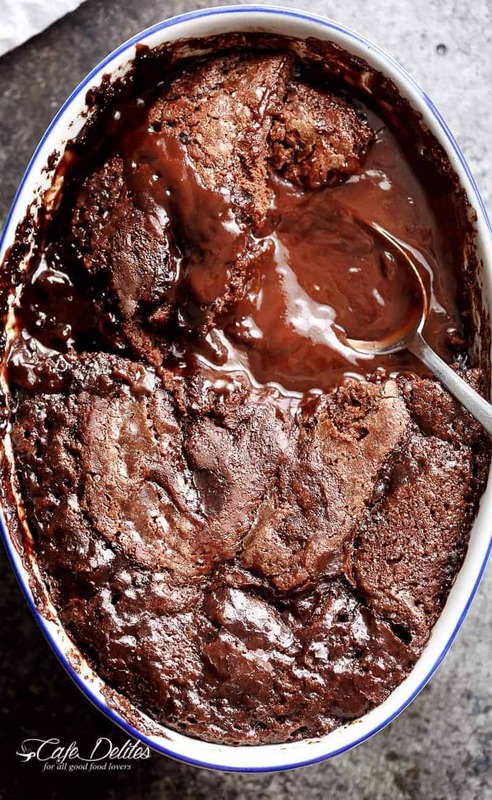 Hot Fudge Chocolate Pudding Cake… What more could I possibly say? With TWO different cocoa powder tests, see the different results for yourself! This is the dessert you’ve all been waiting for. Step aside pumpkins and pecans because THIS is your new favourite dessert. Totally non-traditional, and I think 99% of us really don’t care. 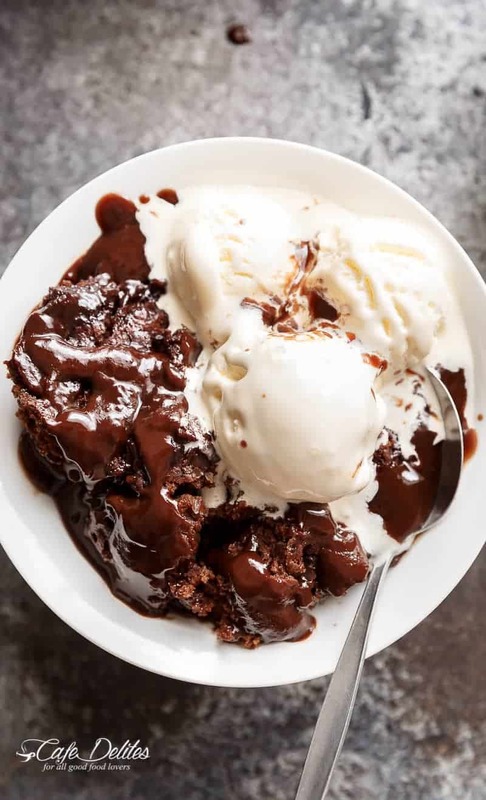 When my daughter tagged me in a picture of a hot fudge chocolate pudding cake on Instagram, it was love at first sight. With heartbeats skipping and a taking my breath away type situation, I ran to the kitchen to make one — or five. Do you see this perfect, crisp top? Yeah, I see it too. And did you see the fudgy chocolate sauce on the bottom? Well…take this warning if you will: don’t dip your finger to taste test it because you will end up with chocolate sauce all over your mouth — and none left in the dish to serve for everyone else. 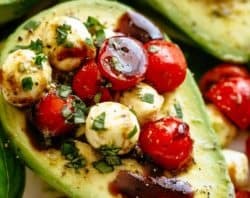 The original recipe from Hershey’s was a little rich for our liking, so this recipe has been toned down JUST A LITTLE, and made to be a little less in calories as I could without screwing up the taste or texture. That way, you can serve with a little ice cream. Like my logic? It is so easy to make this cake! All you do is mix your batter and pour it into your dish. THEN mix together a sugar/cocoa DRY MIX>sprinkle it over the top>pour it over the dry mixture>bake>try-not-to-eat-the-whole-entire-pan. We did this to show you the different results between the two cocoa powders. The darker pudding cake photographed at the top of this post yields a richer and almost bitter-sweet chocolate flavour. Think Lindt 70% dark chocolate. The normal, unsweetened cocoa powder pictured here and below yields a milder, almost milk-chocolate taste. This is the one my family prefers. Personally, I prefer the darker one. Which one do you prefer? Let me know in the comments below! WATCH US MAKE Fudge Chocolate Pudding Cake RIGHT HERE! *Cocoa powders: A dark cocoa powder will yield in a rich and bitter-sweet chocolate flavoured pudding (pictured in the first photographs above). A normal unsweetened cocoa powder, such as Hershey's unsweetened, will yield a milder chocolate flavoured pudding -- not bitter in taste and still rich (photographed in the last images above). Please choose carefully, and use a cocoa powder you LOVE the taste of. Non-traditional?! We grew up with this old favorite! Grown grandkids still love it. Got my recipe from Mom who got it from her mom! I’m planning to make this for a big party now, and want to make this before hand and microwave it before serving. Do you think that will work fine? Or should I make more sauce so it doesn’t dry up? Please advise me on this. This is perfect. I used to make this years ago and this is the precise recipe. So glad I found it. Thank you for this amazingly scrumptious recipe! My kids and I made this for Christmas eve dessert and it was a HUGE HIT with everyone. We loved the ease and limited ingredients it requires to make this show stopper dessert. We will definitely be making this over and over again. That is so good to hear Merry Christmas to you guys! I hope you and your kids had fun in the kitchen while making this as it was also a hit in my household! I made this last night, for my family Christmas and it was a HUGE hit!! I got major props for bringing the best dessert ever! My sister is, typically, the baker in the family but I stole her thunder last night. One thing though, I used a dish that was passed down in our family and it was a little bigger than the suggested pan size, so I didn’t get a lot of sauce due to not adjusting the baking time. I’ll keep a closer eye on it next time. Thank you so much for posting!! I’ll definitely be making this again!! And again…. and again! 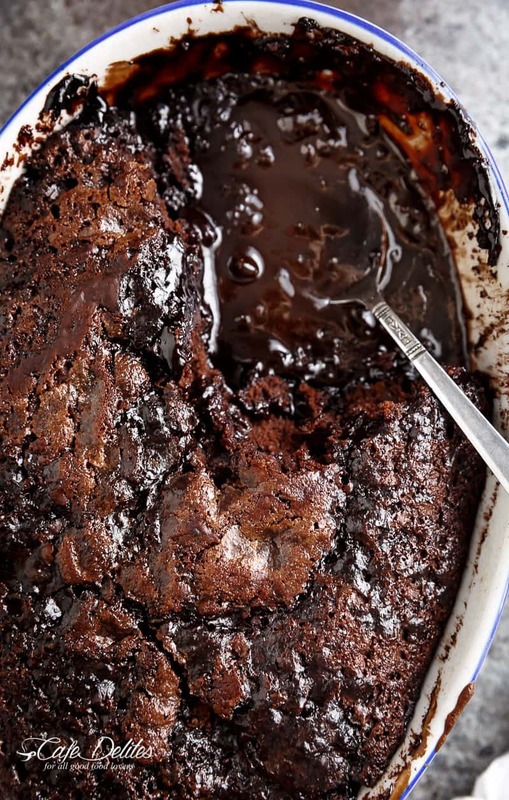 I loved this recipe and the cake pudding is decadent just as I like it, but for some odd reason the fudge sauce dried up around the 25 minutes bake mark, thankfully i checked before it became too dry, was still delicious. Will adjust my bake time next time. Search “Lemom Pudding Cake” and you will find a version on line. (Both Betty Crocker and BH & G cookbooks published both chocolate and lemon versions for hers. (My grandmother’s 1941 called it Brownie Pudding.”) The lemon one doesn’t have the water poured over the top. Instead it bakes in a hot water bath. You still end up with a sauce. Not that I know of. You may want to look up the nutritional value of it. 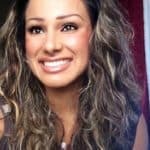 This is my go to recipe when I need my chocolate fix I have made this for almost 50 years when I was pregnant with my first child I craved this and gained about 15 extra pounds [ LOL ) don’t worry I lost it all after. I have made it more times with all white sugar than both ( just as good ) and I never boiled my water . Love it ! I make this all the time, but I make it in the microwave! Mix cake part in a microwaveable dish then pour over the hot liquid (coffee is wonderful) thenbake it at high power for 5 – 7 min. depending on your microwave. One of my all-time favourite 3-season desserts! Can’t wait for cooler days to take your recipe out on a date! I made this last night and it is so good!! If I wanted to make this for a family dinner, do you think it would be okay to make the batter ahead of time and drive a couple hours with it? Or would you recommend making ahead of time and just refrigerating it? Thank you! HAH!! That is the BEST response ever! SO glad you enjoyed it! Wow!! Made this tonight, was so easy and the kids licked the bowls clean! Turned out so light and fluffy it just melted in your mouth along with the ice cream! Will be a family fav! That is so great to hear! I am happy for you and your family! That cake sounds delicious right now! Thank you for sharing! 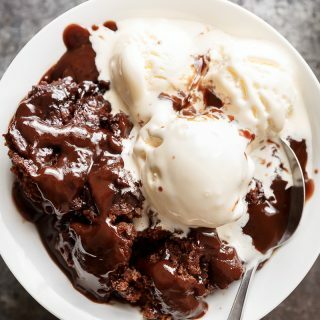 I tried this yesterday as my kids wanted a hot fudge pudding and they loved it as did my not so easy to please husband ? Simple ingredients, simple recipe full of flavour. Yum! Great recipe. I’ve made others but the pudding turns out thinner; I prefer it thicker with this recipe. Used Dutch cocoa powder and it’s so dark chocolately in the best way. That is great to hear! Thanks so much for sharing! It’s so easy and delicious! Thank you! Just made this recipe with my kids for dessert. So easy to make. The kids loved helping. And flavour is amazing!! Tastes like hot chocolate in a cake. So good! Definitely keeping this one close. Would love to hear about doubling this recipe. Anyone done that? I make this when I need a chocolate fix! It refrigerates well for a couple of days. I heat up in the microwave. I added an 1/8 tsp. Cinnamon to the batter and another 1/8 tsp. Cinnamon to the dry ingredients for the top. Personally, the cinnamon enhances the chocolate flavor immensely! You don’t taste the cinnamon. 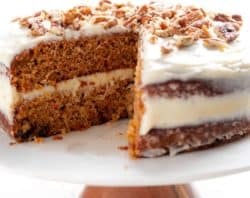 I’ve tried it both ways and have asked guests which they prefer- the cinnamon in the cake rules every time! I use either Hershey’s or Toll House Brand unsweetened cocoa powder. P.S…I also add cinnamon to the batter only when I make the famous Texas Sheet Cake! Lori I LOVE your additions! I’ve made this & it’s so yummy! It does well in a 2 1/2 qt crockpot too. Just cook on high for 4-5 hours. Put about 3 layers of paper towels under the lid to catch the condensation. Also, it reheats well, the sauce just won’t be as runny. Thank you so much or those suggestions Sherry! Haven’t tried yet but sounds wonderful. I’m new to your post. Is there any way to print your recipes without the half page of “REMEMBER TO SUBSCRIBE ETC This makes for an extra printed page & recioe title is half page down on oaper whivh makes it hard to find recioe name after i file them. I tried this on a whim last night and it was phenomenal! I am a self-proclaimed broke college student with no talent of cooking. But this worked well! 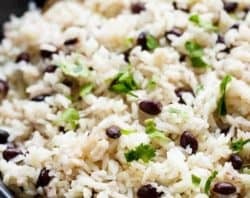 My parents loved it and it has become our new dish to bring to parties. My mom also wanted to note that it is still delicious the day after. Looks so yummy! Could honey be used instead of all the sugar? Michelle Kirstein, when you used the ramekins, did you put them in a water bath (I haven’t used my ramekins yet) or just baked on a sheet tray? Wonderful, easy and not too sweet dessert! There was enough liquid/sauce as I used boiling water. I will certainly make it again and surprise my guests! Thanks for the recipe; followed it to the letter. My cake came out identical to yours. Used the dark chocolate powder. It turned out to have a rich chocolate taste without being too sweet. I anticipate the leftover sauce to thicken overnight and look forward to it taking on more of a pudding consistency. My cake was about half cake, half sauce. I measured my water to ensure it was a cup and a quarter, as someone else noted, the water evaporates as it boils. Ate it with vanilla ice cream. It was super easy to make and a nice treat. My mother started making this when we were young (the 1960s). I still make it for myself almost 60 years later. You’re never too old! I made a vegan version of this, using soymilk instead of milk and Earth Balance instead of butter, and it came out fantastic! OMG, made this last night and it was so freaking good. Since we wouldn’t eat the whole thing in one sitting, I put the batter in 8 ramekins instead of the baking dish and cooked it for about 22 minutes. HOLY CHOCOLATE SAUCE BATMAN, it was a hit! Can you use almond flour ans sugar substitute ? Karina, You are such an evil person ( 😉 ) This is one of my all time favorites and served up just the way I like it !!! 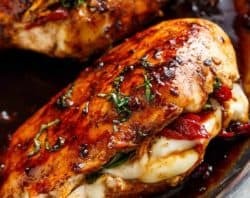 Great recipe and wonderful step by step photos !!! I make this recipe a lot for dessert. When I was a kid they used to sell this in a box. Not sure if it was Betty Crocker or Duncan Hines. For some reason they stopped making it. It took me years to find this recipe. It is so yummy and better than the box mix was. We serve a little warm with whip cream. It is delicious. Im planning on making this for a party and wanted to know if i could make JUST the ‘cake’ batter in advance and keep in the fridge. So when its time all i need to do is sprinkle the sauce ingredients, pour boiling water and bake. Will that work? Hye can I replace brown sugar by white sugar? I was wondering if the chocolate sauce tasted like more of a sauce or more like hot fudge? Made this last night, and it turned out amazing! After reading some comments about not enough sauce, it had me worried! BUT, I think I figured out why some people didn’t have enough sauce! If you boil 1 1/4 c. water too long, the water evaporates….and you end up with 1/2 c. water or less to pour over the top instead of a full 1 1/4 c. boiling water. I boiled a pot of water and then measured 1 1/4 c. water out of the boiling water to pour over the top. Followed the rest of the directions exactly, and it was delicious with plenty of extra sauce to go around! My husband and I ate half the pan just to ourselves….so I definitely wouldn’t say it serves 9 😉 Maybe 4 hehe Thank you for all of your amazing recipes! 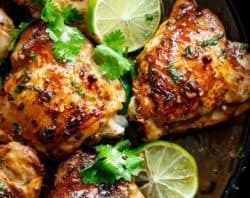 Every single one of your recipes I have tried have literally all become my favorite recipes! I agree. Our stove runs a little hot and I’m usually baking things for less time than what’s normally prescribed. I wanted to take it out at the 30 min mark but I was paranoid it wasn’t long enough. But thinking back, I think that’s when I should have removed it as the top layer was bubbling and jumping. HI Emily! You can try it out for sure. I don’t believe it would make too much of a difference. Please let me know how you go! Do you let the boiling water cool a little first before pouring into recipe or pour it on right after boiling (still at boiling temperature) ? Thanks. Please could you tell me how much is a cup in grams or ounces. Hi Sarah! One cup is normally 120 grams 🙂 After Sunday roast? YES PLEASE! Sounds incredible! Love trying out these recipes. Thank you !!!! This looks amazing! I like to put pecans in my brownies. What do you think? I made this tonight and the family devoured it. My wife demanded I make it every night, LOL. In fact, they ate the entire 9×9 pan in one sitting. The only issue I had was there wasn’t a lot of hot fudge in the cake to drip over the brownie and ice cream. I wonder if I did something wrong? Perhaps I cooked it too long (35min)? Could it have something to do with the fact that I used regular brown sugar instead of light (it was the only kind I had). If I used more water, would that help. Other than that, it was a huge hit with the wife and kids. Hi Hank! I would suggest maybe it was in the oven for too long. The brown sugar shouldn’t make much of a difference! Adding more water? Hmmm, maybe a couple tablespoons if you’d like more sauce, but I’d go with less backing time first. If you try it again, please let me know how you go! Made this for my Dads birthday, and it came out amazing. The crusty top, makes this extra special. I used a deep 8 inch glass pan, which worked well. Mine baked about 10 or 15 minutes longer (probably due to the pan). Served hot with vanilla butterscotch ripple ice cream. Thanks for this recipe. I will make it again and again. I loved the taste of this when made with dark cocoa (Hersheys). It was very easy to make too. My only complaint is the lack of pudding. Wish there was a lot more sauce to go around. By the 2nd day it had almost none. Made this for Christmas Eve dessert! It was AWESOME and Sooooo easy! Was even good warmed up the next day? Thanks! The recipe is great and super easy ? but there’s just one thing: the pudding is thick for my taste and is not as saucy and thin as shown in your pics..any idea why? ? No idea Yara! Did you leave it in the oven a bit longer than the suggested time? I’m going to try this with half Hershey’s regular cocoa and half dark cocoa. This looks scrumptious. Looks delicious.. I have a question can I use cake flour instead of plain flour will that work?? Thank u waiting for ur response! My friend used to make this recipe but instead of hot water, she used hot coffee! I highly recommend it! Dying for a big bowl full. This looks amazing! I’ve been looking forever for this recipe. My Texan grandmother used to make it on my birthday, but called it “brownie pudding.” Thank you so much for posting this! This dessert was an absolute hit with my family! ! 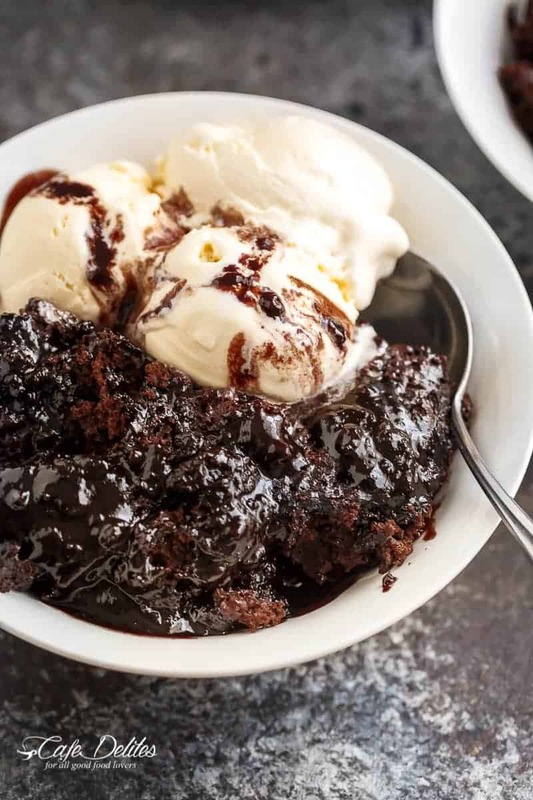 We loved it and its the perfect dessert to make in a pinch or just as a special treat after a weeknight dinner..so delicious with ice cream..can’t believe it makes its own fudge sauce! Making it again tomorrow night! I’m so happy to hear that Grace! What an awesome idea! You just took my favorite winter treat and turned it into CAKE! Amazing! I love that you tried the recipe with two types of cocoa powder. I think I’d prefer the darker cocoa as well, especially with a couple scoops of vanilla ice cream! Oh my flippin’ yum. Hot saucy chocolate > frosting any day. Thanks for the recipe! 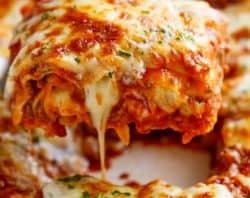 I was excited to see this recipe, my grandmother used to make something like this. I threw one together earlier and we really enjoyed it, simple to make. I am an Australian/American citizen living in Austin , Texas. Thank you for sharing your recipe Karina ? Sounds good; looks even better. How long would you bake in a 9×13 pan if you doubled the recipe (I don’t believe one 9″ pan would be enough)? I made the Hershey’s version a couple of times before, but I ended up eating the whole pan because everyone else in the house though it was too rich as well. Looking forward to trying out this recipe for everyone to enjoy this delicious treat!